A lane of the A23 was blocked this morning (Tuesday November 27) following an accident. Reports are that four cars were involved in the incident on the A23 northbound at Brighton Road (Handcross). Lane three of three was blocked and there was very slow traffic. 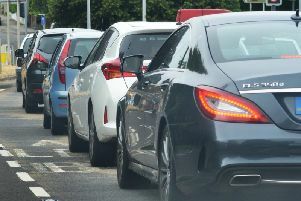 Congestion at one stage was backed up to Bolney Cross. The accident has been cleared and traffic flowing freely.